International Trucks showed the new CV Series. The truck producer refreshed the truck to make a re-entry to the medium duty vocational segment. The new Class 4/5 model came to replace the TerraStar and is available in wheelbases from 141 to 243 inches (from 3580 to 6170 mm) and in 4×2, 4×4 configurations. 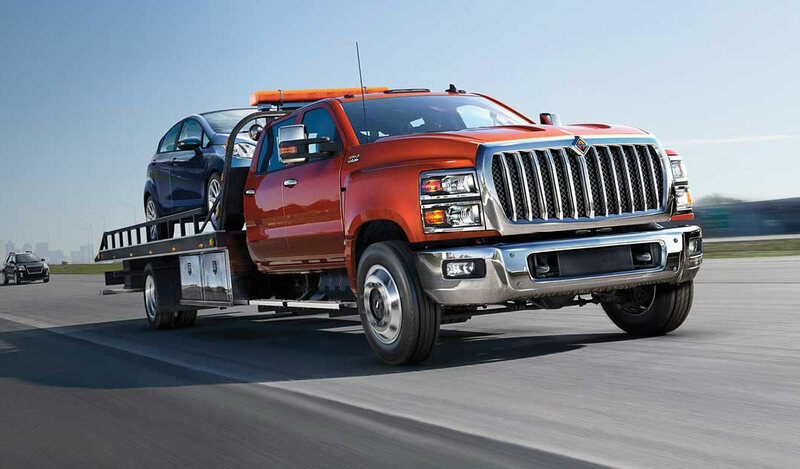 The International CV Series is equipped with a 6.6-liter diesel engine of its own design, which produces 350 hp and 700 lb.ft (950 Nm) of torque. International is part of the Traton Group, formaly known as Volkswagen truck and bus group. Next Iveco soon to come?! Chris on Looks like the new Tesla truck! Scania nextgen low- entry cab – Iepieleaks on And even more new Scania P-models on the road!